In this monograph the authors assert that Russian verbal prefixes always express meaning, even when they are used to form the perfective partners of aspectual pairs. The prefixes in verbs like написать/na-pisat' 'write' and сварить/s-varit' 'cook' have semantic purpose, even though the corresponding imperfective verbs писать/pisat' 'write' and варить/varit' 'cook' have the same lexical meanings. This suggests a new hypothesis, namely that the Russian verbal prefixes function as verb classifiers, parallel to numeral classifiers. The exposition is designed to be theory-neutral and accessible to both linguists and nonlinguists. The studies make use of quantitative research on corpus data and statistical models (chisquare, logistic regression, etc. ), which are presented in a common-sense way that assumes no special expertise. A user-friendly interactive webpage at http://emptyprefixes.uit.no/book.htm houses links to the authors' database, plus additional data from the studies cited. This book narrates recent breakthroughs in research on Russian aspect and demonstrates a range of methodologies designed to probe the relationship between the meaning and distribution of linguistic forms. These methodologies are used to investigate the "empty" prefixes, alternating constructions, prefix variation, and aspectual triplets. Though these phenomena have long been known to exist, their extent and behavior have not been previously explored in detail. 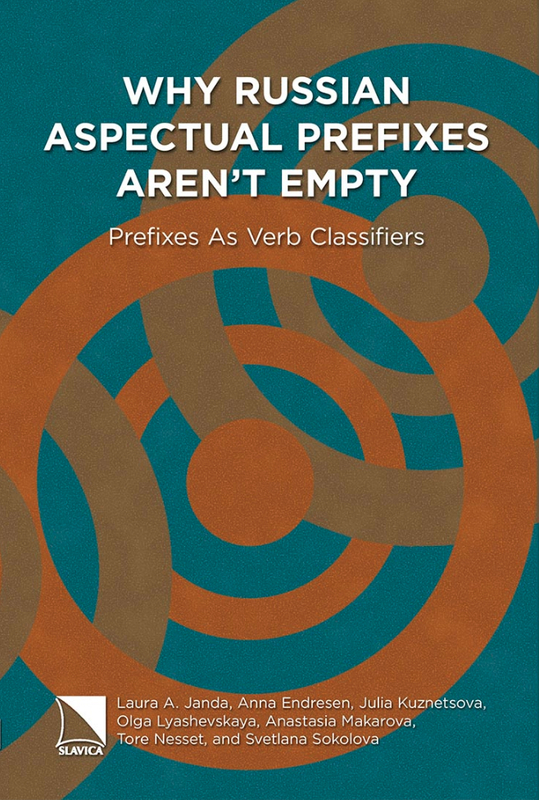 The authors propose that the verbal prefixes select verbs according to broad semantic traits, categorizing them the way numeral classifiers categorize nouns. The purpose of the prefixes is to convert amorphous states and activities into discrete events and to group verbs according to the types of events they express. In other words, Russian prefixes are in effect a verb classifier system similar to those proposed for Mandarin Chinese, Hindi-Urdu, and a number of Australian languages, and this hypothesis facilitates cross-linguistic comparisons. The description of Russian prefixes as a verb classifier system furthermore has pedagogical value since curricula may be redesigned to teach students the system according to its meaningful groupings rather than simply requiring them to memorize hundreds of combinations of prefixes with simplex verbs. In short, the proposal to recognize Russian prefixes as verb classifiers supports the community of people interested in Russian grammar to be better linguists, better instructors, and better learners.